(Güneş Ekspress Havacılık A.Ş.) (XQ/SXS) (Antalya) 1990 - Current. Photos. Framable Color Prints and Posters. Digital Sharp Images. Aviation Gifts. Slide Shows. 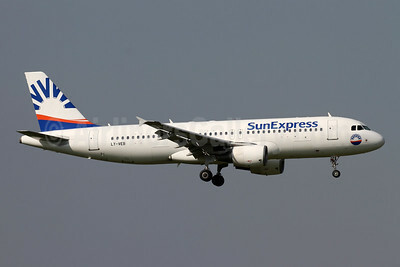 SunExpress Airlines (Avion Express) Airbus A320-212 LY-COM (msn 528) ZRH (Andi Hiltl). Image: 942994. 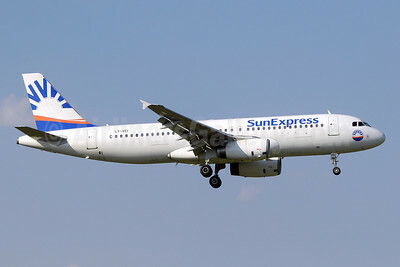 SunExpress Airlines (Avion Express) Airbus A320-212 LY-COM (msn 528) ZRH (Rolf Wallner). Image: 942995. 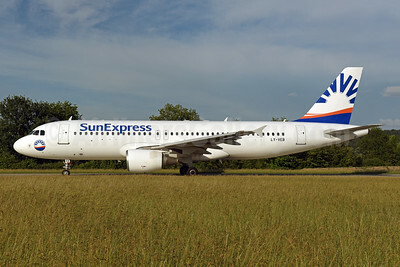 SunExpress Airlines (Avion Express) Airbus A320-214 LY-NVZ (msn 921) ZRH (Andi Hiltl). Image: 943183. 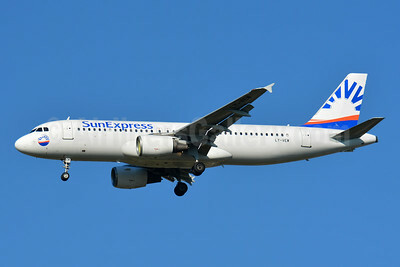 SunExpress Airlines (Avion Express) Airbus A320-214 LY-VEB (msn 1571) ZRH (Andi Hiltl). Image: 942258. 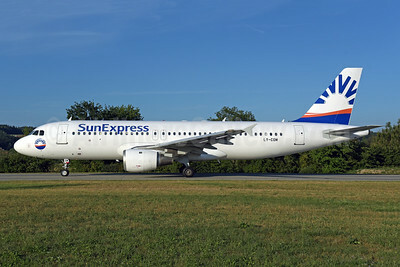 SunExpress Airlines (Avion Express) Airbus A320-214 LY-VEB (msn 1571) ZRH (Rolf Wallner). Image: 942277. 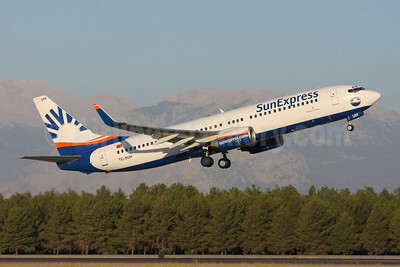 SunExpress Airlines (Avion Express) Airbus A320-214 LY-VEW (msn 1005) BSL (Paul Bannwarth). Image: 943182. 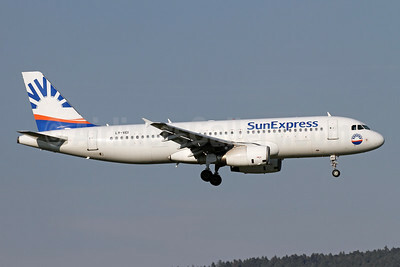 SunExpress Airlines (Avion Express) Airbus A320-233 LY-VEI (msn 902) ZRH (Andi Hiltl). Image: 943599. 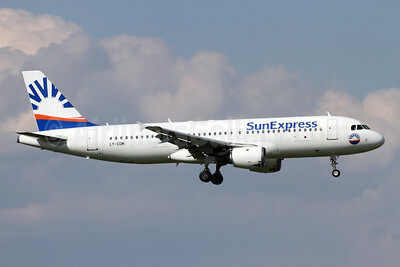 SunExpress Airlines (Avion Express) Airbus A320-233 LY-VEI (msn 902) ZRH (Paul Denton). Image: 943598. 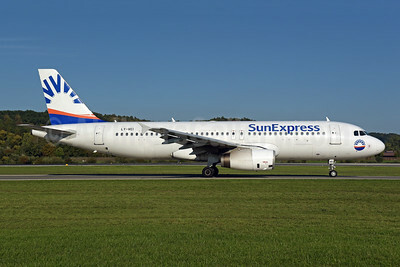 SunExpress Airlines (Avion Express) Airbus A320-233 LY-VEI (msn 902) ZRH (Rolf Wallner). Image: 943600. 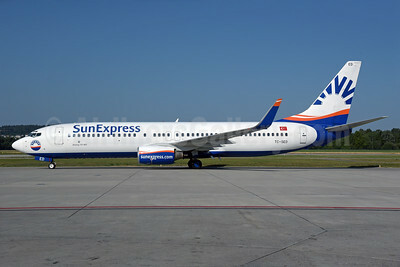 SunExpress Airlines (Futura International Airways) Boeing 737-8FH EC-JHV (msn 30826) (Futura partial colors) FRA (Bernhard Ross). Image: 900152. 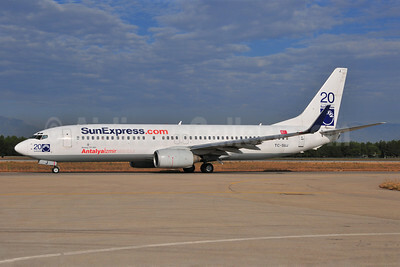 SunExpress Airlines Boeing 737-8BK WL TC-SNM (msn 33023) BSL (Paul Bannwarth). Image: 924277. 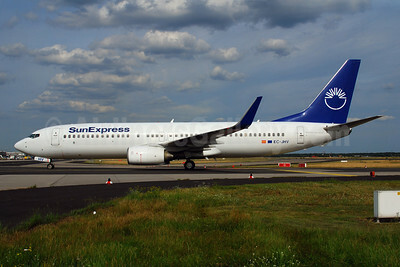 SunExpress Airlines Boeing 737-8CX WL TC-SED (msn 32361) ZRH (Rolf Wallner). Image: 928503. 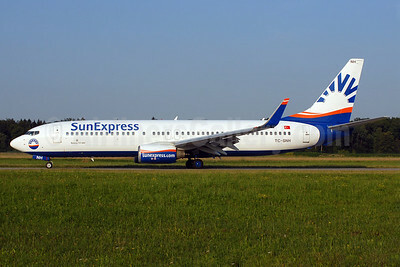 SunExpress Airlines Boeing 737-8CX WL TC-SEE (msn 32363) BSL (Paul Bannwarth). Image: 928504. 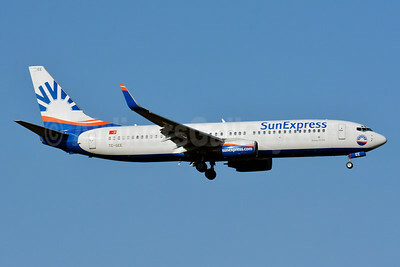 SunExpress Airlines Boeing 737-8CX WL TC-SNF (msn 36529) (20 Years-Antalya/Izmir/Istanbul) ZRH (Rolf Wallner). Image: 907216. 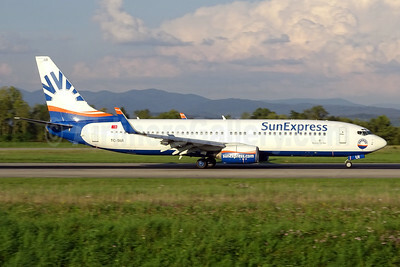 SunExpress Airlines Boeing 737-8CX WL TC-SNF (msn 36529) ZRH (Paul Bannwarth). Image: 929130. 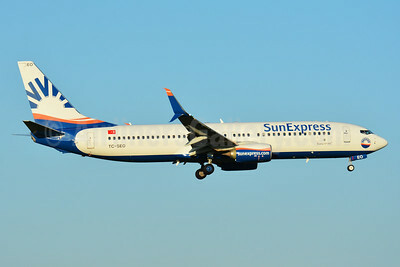 SunExpress Airlines Boeing 737-8CX WL TC-SUG (msn 32365) (20 Years-Izmir/Antalya/Istanbul) ARN (Stefan Sjogren). Image: 902712. SunExpress Airlines Boeing 737-8CX WL TC-SUH (msn 32366) AYT (Andi Hiltl). Image: 908061. 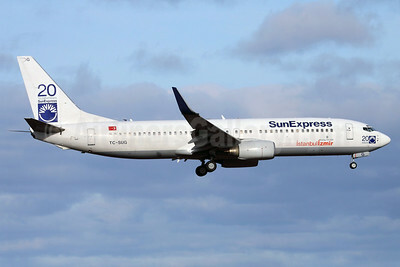 SunExpress Airlines Boeing 737-8CX WL TC-SUI (msn 32367) AYT (Paul Denton). Image: 910811. 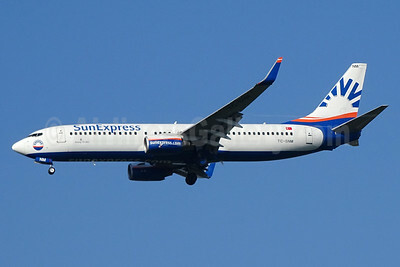 SunExpress Airlines Boeing 737-8CX WL TC-SUI (msn 32367) BSL (Paul Bannwarth). Image: 929131. 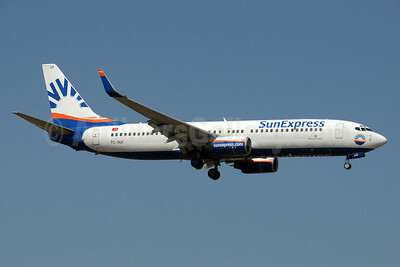 SunExpress Airlines Boeing 737-8CX WL TC-SUJ (msn 32368) (20 Years-Antalya/Izmir/Istanbul) AYT (Ton Jochems). Image: 903727. 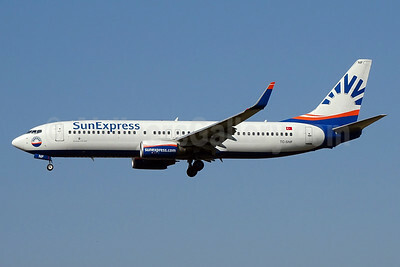 SunExpress Airlines Boeing 737-8FH WL TC-SNH (msn 30826) ZRH (Rolf Wallner). Image: 912967. 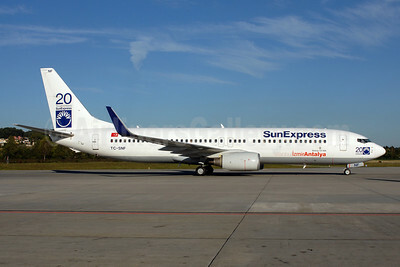 SunExpress Airlines Boeing 737-8HC SSWL TC-SEK (msn 61172) AYT (Andi Hiltl). Image: 938644. 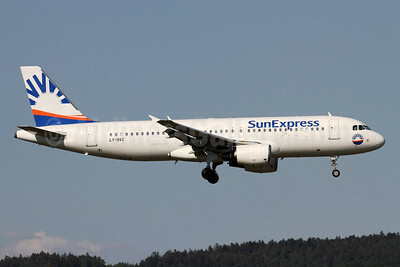 SunExpress Airlines Boeing 737-8HC SSWL TC-SEO (msn 61178) ZRH (Paul Bannwarth). Image: 939705. SunExpress Airlines Boeing 737-8HC SSWL TC-SEO (msn 61178) ZRH (Rolf Wallner). Image: 941677.